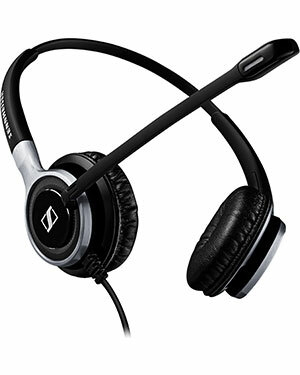 A premium dual-sided wired USB headset with built in call control unit for quality-conscious contact center, office and UC professionals requiring outstanding sound performance in noisy environments and best quality sound from dual-sided neodymium speakers. With a comfortable fit that lasts all day and a solid sense of quality, Century™ is built to sound superb, look stunning and outlast the competition - in even the toughest call center or office environment. It’s a headset that says you put your people and customers first. 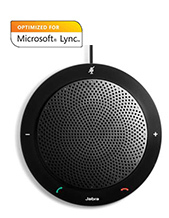 Conversations are crisp and clear for you and your listener, even in noisy call center or office environments. Century™ is crafted with high-end materials to Sennheiser’s high standards to ensure maximum durability and design quality. Stainless steel hinges, brushed aluminum parts and Kevlar® cables are just parts of our armory when it comes to defending your headset against everyday use. Sennheiser’s ultra noise-canceling microphone optimizes speech intelligibility in busy contact center, office and UC environments by reducing unwanted background noise. ICONIC DESIGN - Crafted with high-end materials to Sennheiser’s high standards of design quality. 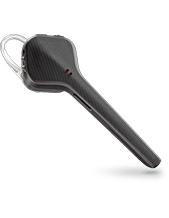 HD VOICE CLARITY - Legendary Sennheiser voice clarity, ensuring a clear and natural sound experience. 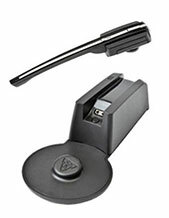 BE HEARD CLEARLY - Ultra noise-canceling microphone filters out background noise for perfect speech transmission. SUPERIOR SOUND QUALITY - High-quality neodymium speaker for outstanding HD audio quality. TOTAL PROTECTION - ActiveGard® technology protects users from acoustic shock and sudden sound surges. ALL-DAY COMFORT - Large leatherette ear-pads for exceptional wearing comfort and powerful sound.